Innovations can fail, not because of technical issues, but because they fail to become commercially viable. This is due to many of the obstacles faced by innovators, including: the need to scale up; achieve operational integration; build market acceptance; and the need for well-executed business strategy and plan. In recognition of this, CEMI’s fifth area of strategic focus, BizMine: Commercial Viability was formerly established in 2015. CEMI’s support for commercialization is not new. The Innovation & Prosperity Office at CEMI had been supporting commercialization of innovations with project partners innovation since 2011. The IPO has been integrated into BizMine and it continues to work with mining service and supply SMEs (small-medium sized enterprises). 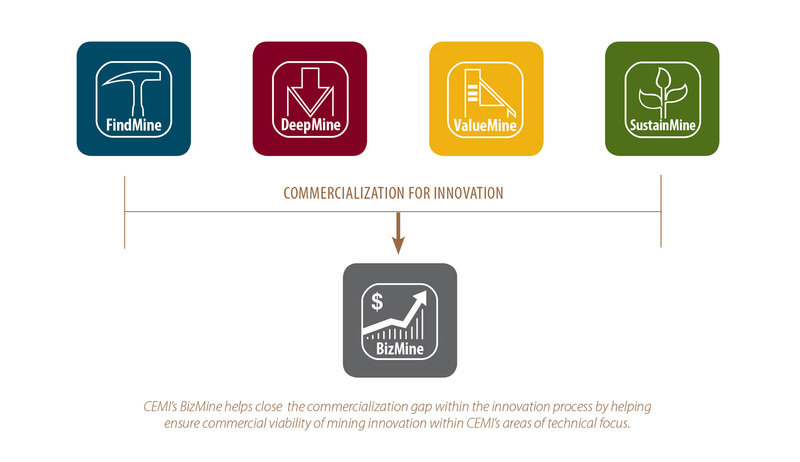 The aim of BizMine is help our project partners navigate the many obstacles of commercialization and help accelerate mining innovation into the marketplace. 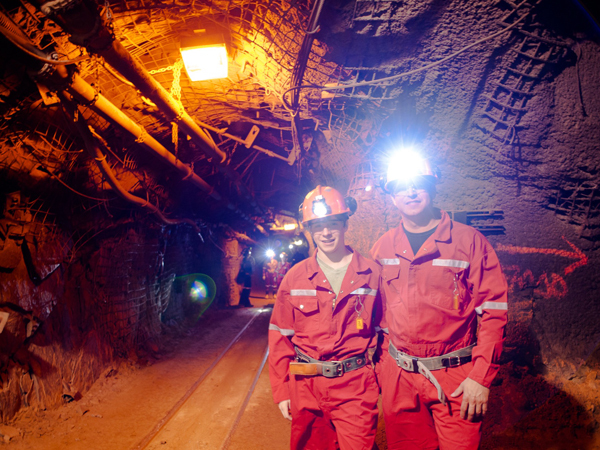 BizMine provides the necessary commercialization support for the technical mining innovations being developed in the areas of exploration, deep mining, mine productivity and managing the environmental impact of mining. Ability to access both technical experts and business support in one place, making the process of determining the commercial viability of innovations seamless. BizMine team will engage with all sectors and disciplines—the developers of innovation, the funders of innovation and the end users to determine commercial viability. We understand that an operating mine has to deliver value to shareholders and our project validation process requires that the projects demonstrate a significant impact on the NPV (net present value). Business Case Analysis and Assessments: these include validation of the technical merit of the proposed project or solution, market assessment of needs and opportunities, commercialization capacity assessment. 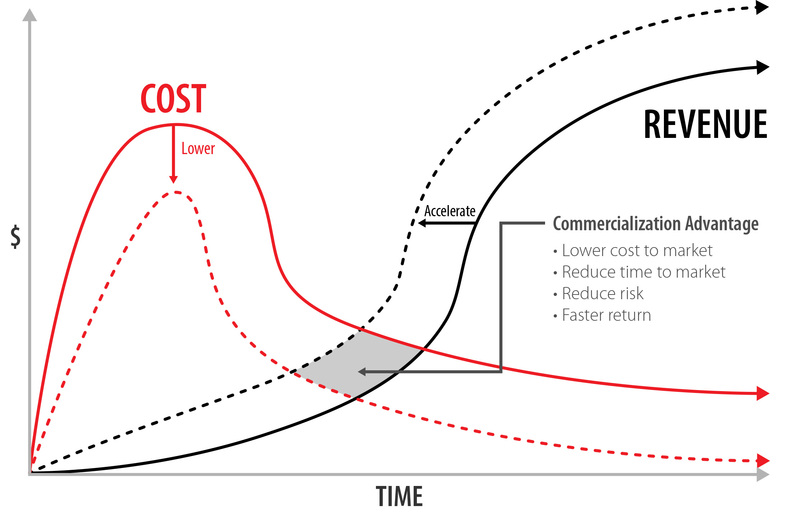 Strategic Commercialization Planning: development of a custom strategic plan to include intellectual property (IP) development strategies, market expansion plans in terms of readiness, capacity, marketing. Commercialization Support: general business advisory services, industry contacts and networks, assistance with prototype development and demonstration projects, access to real-world mine site testing, management support services (Advisory Boards), market development, manufacturing readiness, supply chain integration, manufacturing readiness, marketing support and analysis. 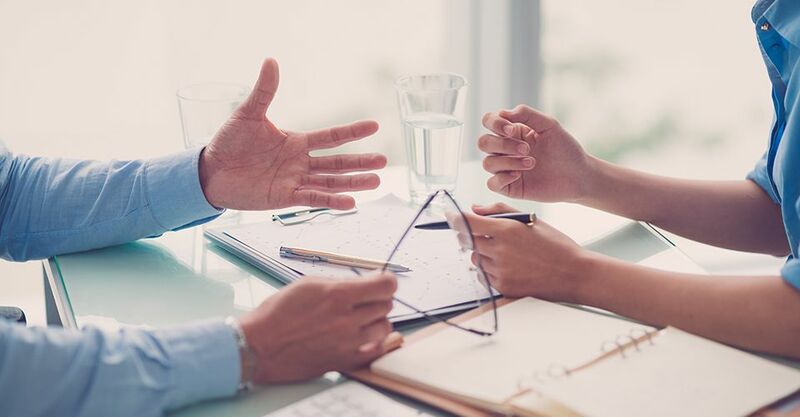 Project & Program Management Services (fee or royalty based): Professional management of projects, formal development of strategic technical projects, commercialization agreements. As a not-for- profit organization, CEMI ensures all fees and royalties from its commercialization project management services are re-invested into funding future innovation activities at CEMI. 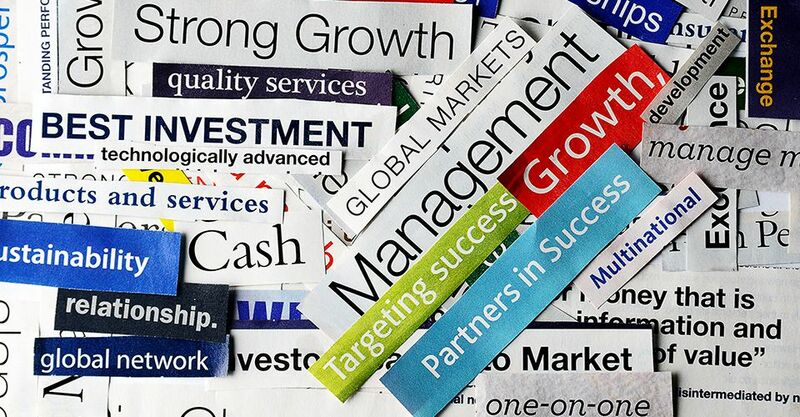 Leveraging Resources: leveraging CEMI internal resources through cash and in-kind resources with external partners; identifying and sourcing government funding programs; resources from specific industry consortia or individual company projects. Identification & Development of Innovation Projects Essential to the Mining Industry. From time to time, CEMI will identify innovation projects that are deemed as necessary, based on their knowledge and understanding of the mining industry. CEMI will work together to develop a consortia of partners to raise funds – financial and in-kind—through mine operating companies, SMEs, research and academic institutions as well as industry associations. One such program is the Ultra Deep Mining Network (UDMN), is currently underway. One identified project is the Clean Mining Program. These CEMI-organized consortia-based programs, ensures an unbiased and co-ordinated technical and business managed program that benefit the mining industry as a whole. CEMI has worked with mining service and supply companies (mining equipment, technology & service companies) to help meet their specific commercialization needs since 2011. CEMI’s aim in helping SMEs (small to medium enterprises), is to support bringing innovation to market, given their size and limited resources. The approach is to build long term collaborative relationships, providing situational assistance, based on specific technical and commercialization gaps or needs. Based on consultation with the SME, the level of support is determined.